First of all I wish all my readers, friends, followers, subscribers, each and every one of you a very Happy New Year. I am really sorry for the late wishes, but I think better late than never. 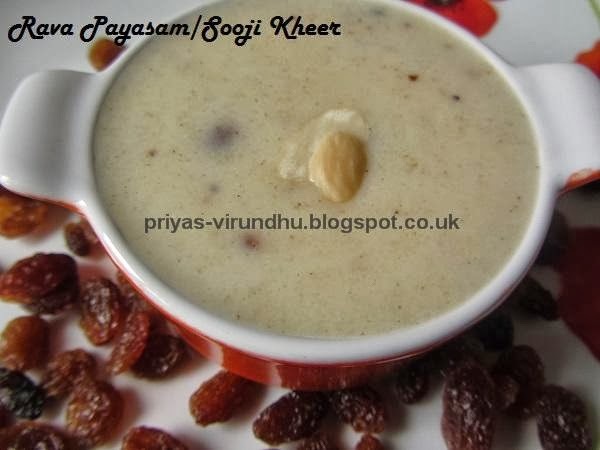 Since I am posting after so many days and also this is my first post for this year, I am starting by sharing with you all a very traditional and authentic Javvarisi payasam made with vellam/jaggery. 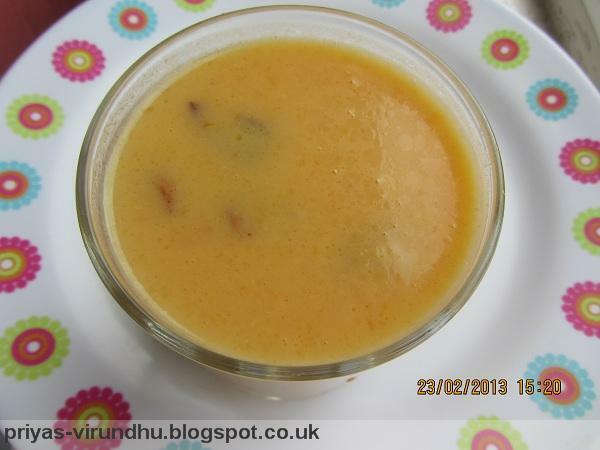 Enjoy this mouth watering payasam and have a great day. Today I am sharing with you all friends, readers, followers and subscribers a very happy and sweet news. From now on priyas virundhu is no more with blogspot, we have our own domain www.priyasvirundhu.com. So friends please keep visiting and encouraging us as always. Thank you all for your kind support and encouragement. GarvaNu is a kheer from South of Gujarat. I came across this special and authentic recipe of Gujarat in Rishtey channel. The aroma of the roasted wheat flour and combined together with the flavourful cinnamon powder is just tantalizing. The GarvaNu is not supposed to be cloyingly sweet, but you can very well adjust the sweetness according to your taste. 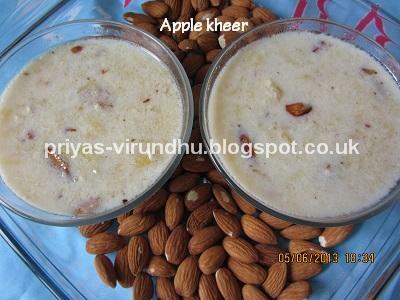 Try out this luscious kheer and have a great day. Do check out other delightful Paysam/Kheer varieties here. As a parent and mom of two kids I am always on the lookout of healthy and tasty food that can be made easily without any hassles. 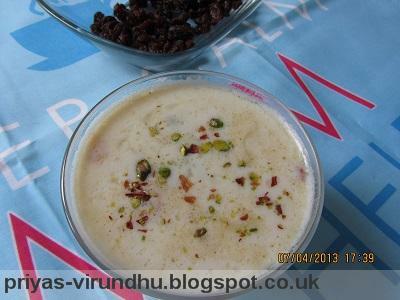 This Ullundhu paal/Urad dal payasam is one such recipe I came across in Vikatan long time ago. Ullundhu Paal is a special, traditional and authentic health drink prepared in Thirunelveli district of Tamil Nadu. It is a very healthy drink, prepared with milk and palm sugar. This Ullundhu pal is a must for girls and growing children as energy booster and helps in maintaining a healthy body and mind. Do check out urad dal kali/urad dal halwa, yet another urad dal dish made especially for girls. 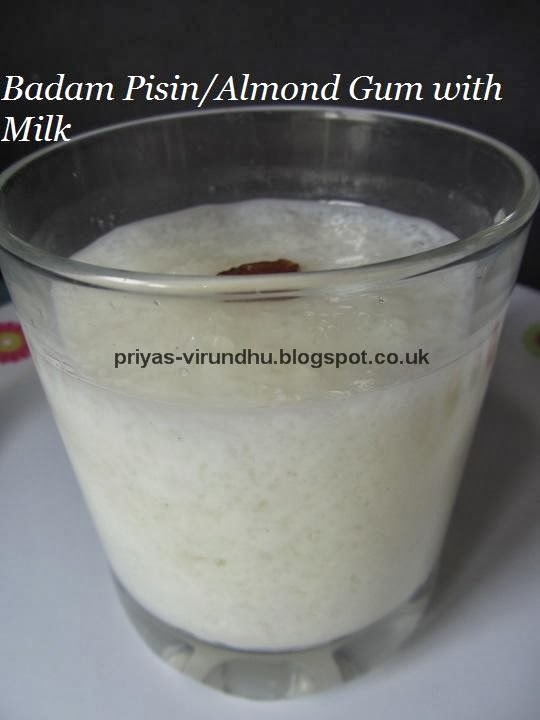 A short note about the panam/panang kalakandu which is used in preparing this milk. Panang kalkandu is a kind of rock sugar made from panam pathaneer[Palm tree] which is extracted from the flower of palmera tree. It is loaded with medicinal value, reduces the body heat, cures cough, cures gastric problems and is rich in minerals like magnesium, chromium and iron. 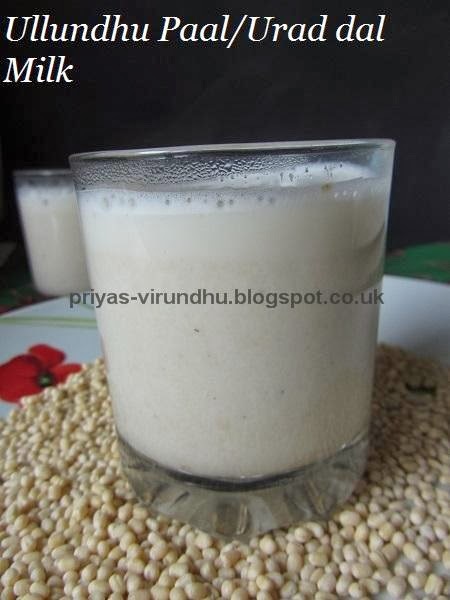 Try this authentic and traditional health drink of Tamil Nadu and you will surely love it. 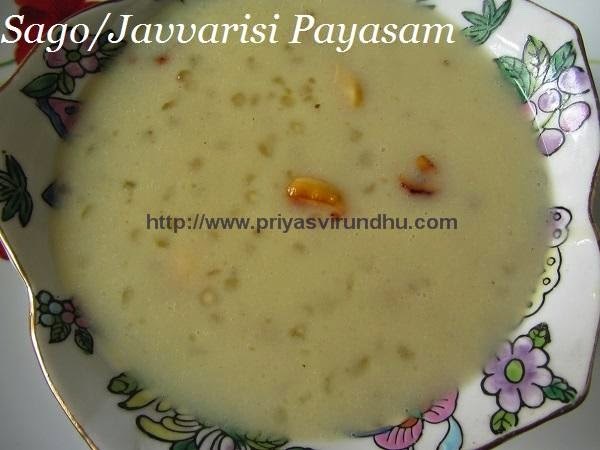 Check out other Payasam Varieties here. Wishing all readers and friends a very “Happy Vijayadashami”. Each day of Navaratri is dedicated to one form of Parashakthi. Vijayadashami is the last day of Navaratri on which Durga invoked as Mahishasuramardhini and destroyed all the evil elements and killed Mahishasuran. Not only Durga’s victory over Mahishashuran but also Lord Rama’s victory over the ten headed demon king Ravana is celebrated on this special day. Vijayadashami literally means “victory on the dashmi-the tenth lunar day of the Hindu calendar”. Vijayadashami marks a new victorious start in South India. It is considered very auspicious day for starting formal education on Vijayadashami. It has been observed as the day of “Vidyarambham”, the “beginning of learning” for centuries. The custom goes by making the children aged two to three years to write their first letters “ohm” and the first alphabet "aah in Tamil" in a plate of raw rice [nellu] by the guru with the right index finger in temples and schools. 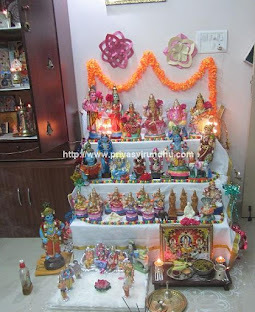 Students keep their books and workers their tools for puja on the ninth day of Navratri[Ayudha Puja, Saraswathi Puja], these are taken back and used after special puja on the tenth day[Vijayadasami]. Not only studies any form of art like Bharatanatiyam, musical instruments, Carnatic music etc. are started on this auspicious day and special respect and gifts offered to Gurus[teachers]. Check out other Payasam Varieties here. I was actually craving for sweet this evening, now that I had lot of apples. I thought I will make apple payasam so that my kids also can enjoy it as an evening snack. Badam Milk is my all time favorite, I used to drink this in the evenings after coming back from school. But my mom used to make it with readymade mix available from the shops. 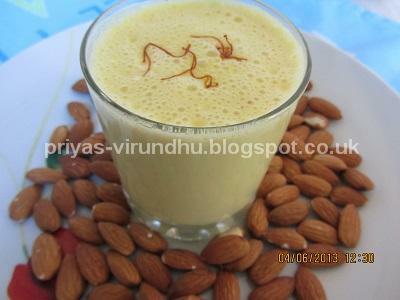 It is a very healthy drink made in Northern part of India especially during special occasions and festivals. The recipe actually calls for sugar but sometimes I replace sugar with “panangkalkandu” as a healthy alternative. 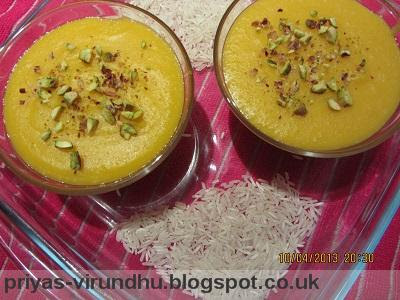 Mango phirni, the name was new to me, after I searched found out it is a dessert more like pudding or kheer. I have not made this before but phirini was very interesting and very easy, so I gave it a shot. After I made this and served it to my girl, she said “Wow mummy!!! It is mangolicious …”. I asked her what??? She said like delicious, it is mangolicious. I was very happy. We get lots of delicious mangos and kids are also at home around this time of the year, so I thought I will share this phirni with you all. 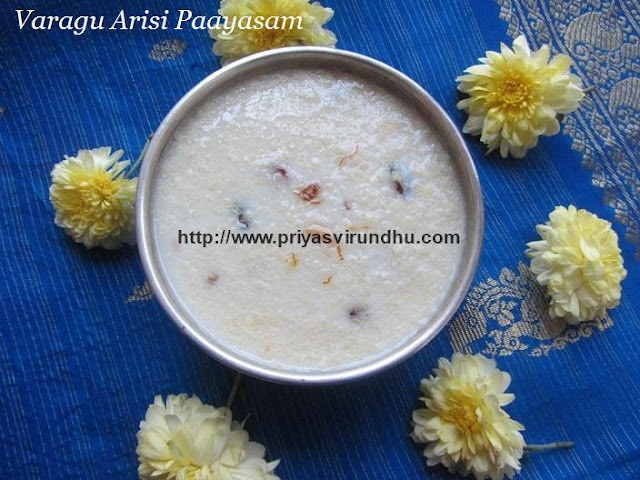 Aval Payasam/Rice Flakes Payasam/Poha Payasam is a very simple payasam made with aval and milk. 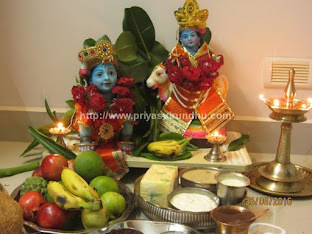 It is lord Krishna’s favorite and I make it during Krishna Jayanthi and many other occasions. 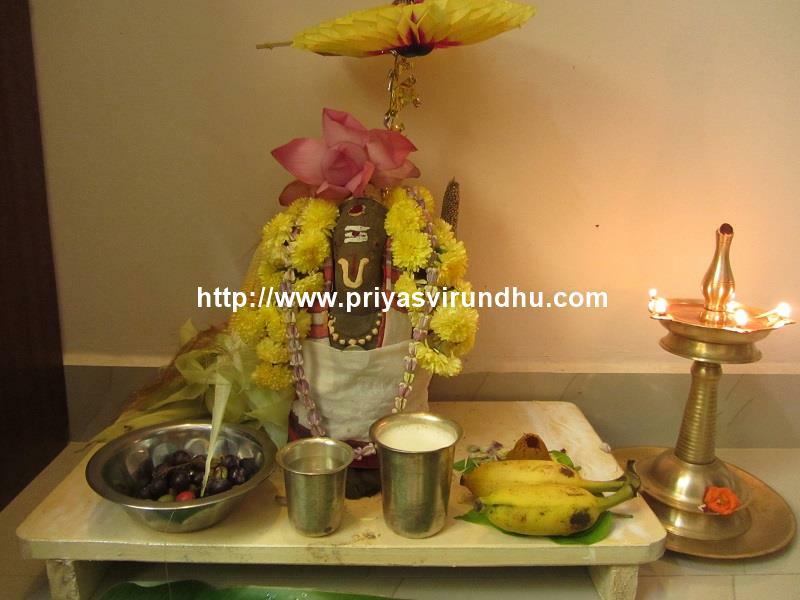 It is especially served in Guruvayur as prashad to everybody. It is our families all time favorite payasam. 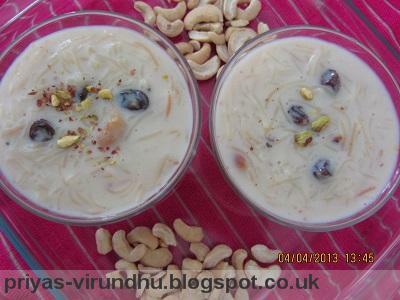 Semiya Payasam/Vermicelli Payasam/Vermicelli Kheer is a very common and famous dessert in South India. 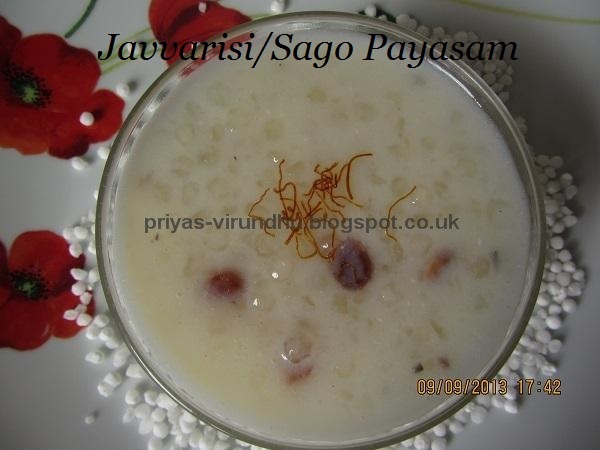 No Tamil feast is complete without a payasam, it is so simple and can be made within minutes. 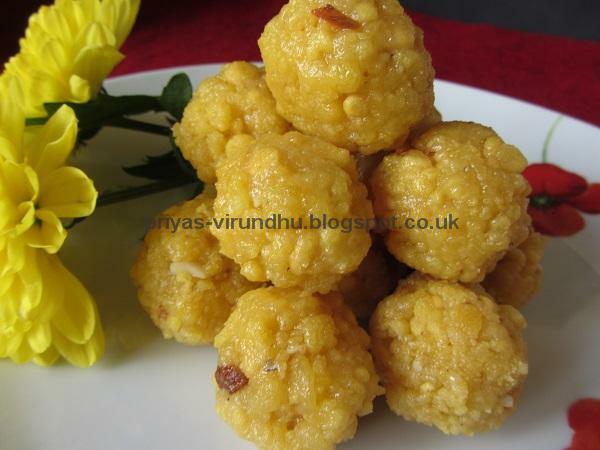 It is one traditional sweet that is made on all auspicious and festive occasions. 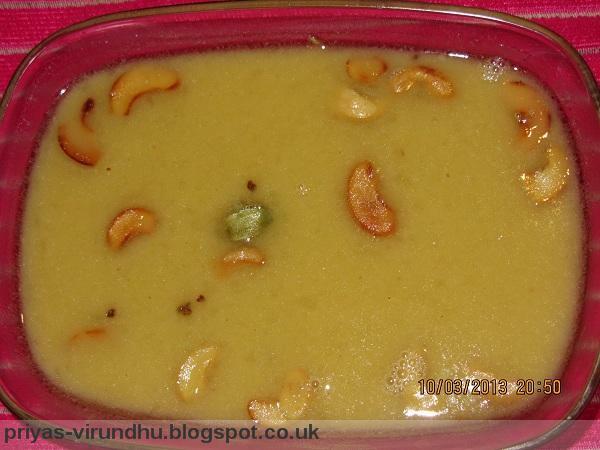 Moong Dhal Payasam/Pasi Paruppu Payasam is a very healthy and easy payasam to make. 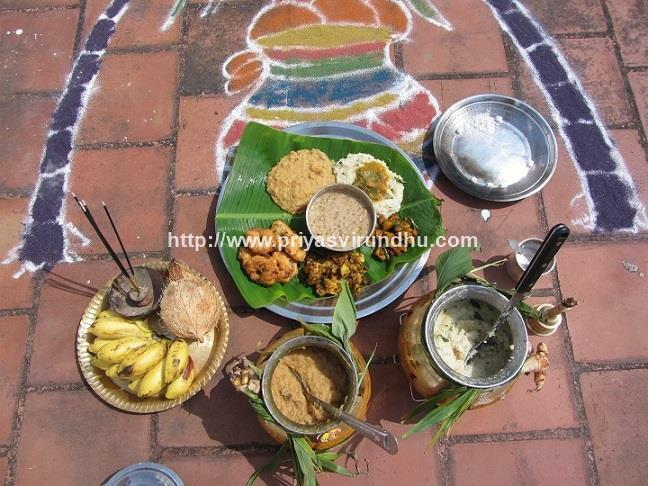 My mom makes it during special pooja days like Tamil new years day, Ekadasi etc. Since it is made of jaggery and dhal, it is totally packed with iron and proteins. In addition to it, the milk and coconut milk also provides calcium and vitamins. 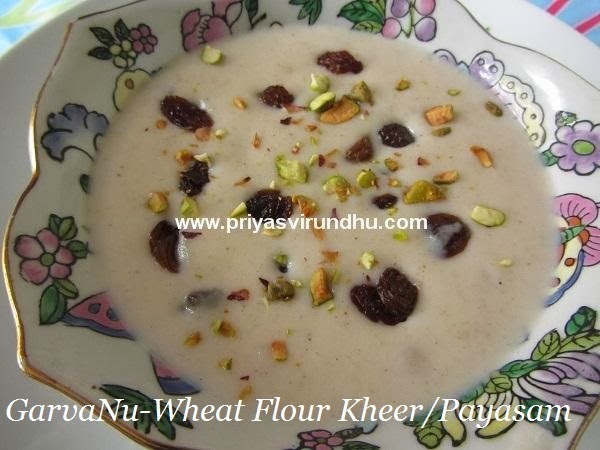 It is a very yummy payasam which the kids will also love. Carrot Kheer (payasam) is a light and healthy dessert. It is easy to make and can be done very fast, when you have unannounced guest.